Salvia palaestina has rather outstanding flower buds. Flowers are white or pale lilac. It is a good plant that not surprisingly, is drought tolerant. It has basal evergreen growth until spring when it starts putting out spikes but will be less than a metre in total height. Rather large seed can be collected and grows readily. Palaestina is similar in appearance to a few species from similar areas, so they could get confused. This salvia should have lots of sun if you want it to flourish. 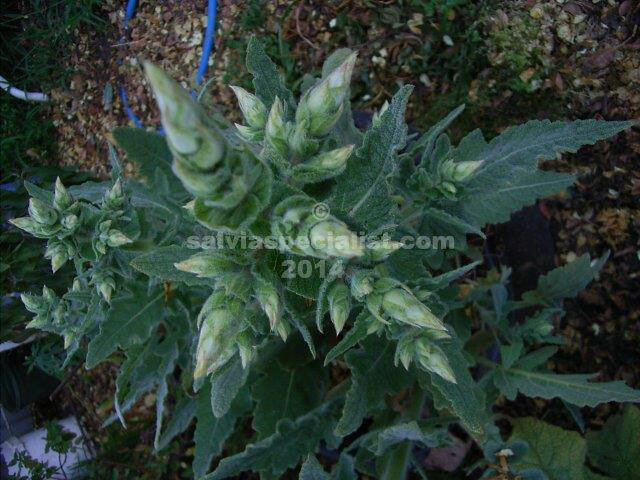 Salvia palaestina is not often available for sale unfortunately but worth asking.